Stainless Steel Sheets Suppliers in Bangalore/Bengaluru, SS Sheets Wholesalers in Bangalore, SS 304/316 Sheets Suppliers – Call Us & Order Now! Metline Industries (Steel Plates & Coils Division) is a leading supplier of stainless steel sheets in Bangalore officially known as Bengaluru is the capital of the Indian state of Karnataka. We can offer immediate deliveries for various sizes and grades of stainless steel sheets. We are a processing factory for stainless steel sheets, and can ensure quick deliveries to all our customers in India and worldwide. In Bangalore, Metline can supply stainless steel sheets, which have been cut to size, or slit to size as per customer requirements. 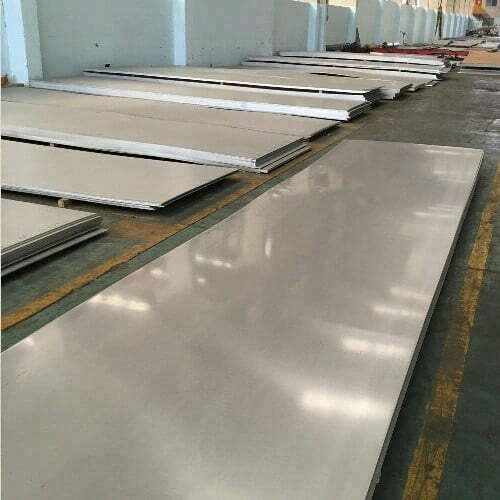 All our stainless steel sheet products come from India’s top manufacturer of stainless steel, Jindal Stainless Ltd. We have prime quality stainless steel sheets cut in size of 1250 x 2500mm or 1500 x 3000mm. If custom length or width are required by our customers, we carry out the cutting and slitting process at our stainless steel sheets and coils processing unit in Mumbai. Test Certificates, are available with materials.